The anchor presents a round-up of all the latest social, political and economic updates and developments that are making headlines in the country. Samay Aalami Urdu is a 24 hours Urdu news channel launched on 27th December 2010. 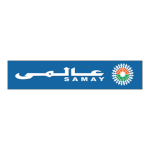 Samay Aalami is the India''s first private National Urdu news channel. Samay Aalami will braodcast news across 54 countries. Sahara News Network is a part of business conglomerate Sahara India, which publishes an Urdu daily ''Roznama Rashtriya Sahara'', a weekly-magazine ''Aalami Sahara'' and a monthly- tabloid ''Bazm-e-sahara''.